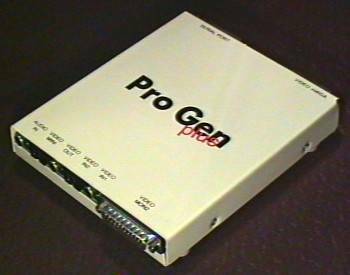 The ProGen plus is high quality digital genlock equipped with an inbuilt video effect module. It connects to the Amiga RGB port and to the Serial port. 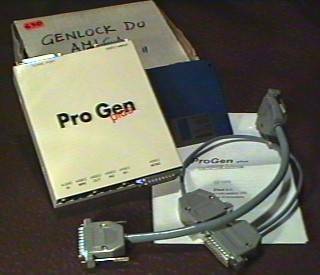 Connection to the Serial is required because the ProGen is controlled by software using the serial port. 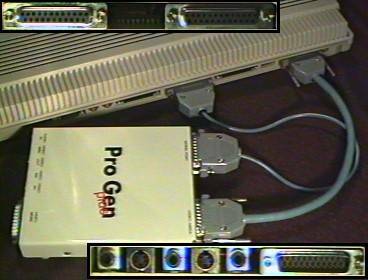 - VIDEO MINI: Y-C output for the Amiga's display which means that the ProGen plus can be used as a high quality video modulator with SVHS-standard output!